Formát:2.5"; Rozhraní:externí USB 3.0; Rychlost otáček (v RPM):5 400. 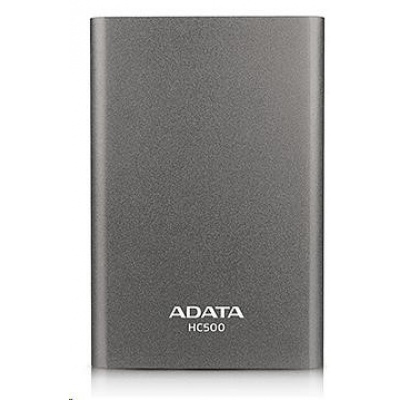 HC500 2.5" external hard drive is made of sturdy metal material. In addition to being a portable storage device, it also supports smart TV programmable recording functions. The HC500 comes with user-friendly personal cloud backup software. 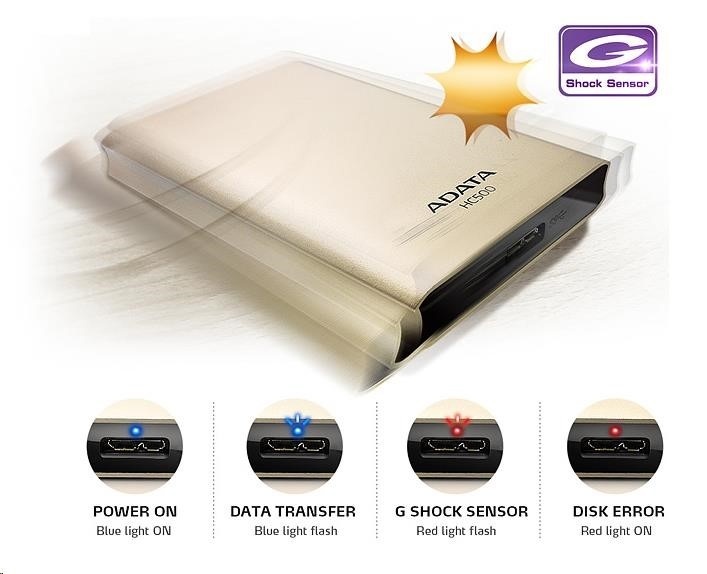 Access data on your hard disk anytime, anywhere - the ultimate in convenience for personal storage applications. The emerging popularity of smart TVs and high-definition video bring features that help you address the problems of a modern busy life. 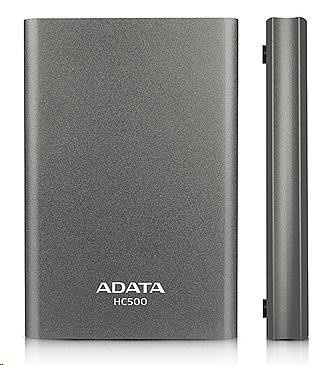 When you have no time to watch your favorite TV programs when they play, simply use your ADATA HC500 external hard drive with supported smart TVs to record hours of programs to enjoy later. 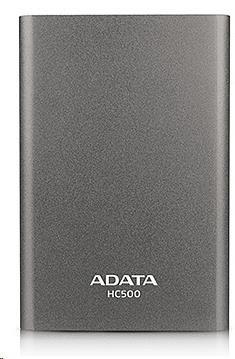 Set up your Choice HC500 Hard Drive as a personal data cloud! Use NTI MiST personal cloud software for easy access to your external hard drive from any location. MiST is available for Windows and Mac OS PCs, and Android and iOS mobile devices. * Enjoy a one-year trial of NTI MiST Personal Cloud software. Upon completion of the trial, continue the service as a paid subscription. G Shock Sensor Protection helps protect your data. If your HC500 suffers a severe shock from being struck, G Shock Sensor Protection automatically starts up and displays a flashing red light. When the shock has passed, a solid or flashing blue light displays indicating normal operation has resumed.